Original owner: Thomas Abbot, son of George "the Immigrant". Themes: Architectural, Agricultural. This house, along with the Benjamin Abbot and Ballard-Foster houses, are situated in what was once known as "Happy Hollow". In 1900, George F Baker, road commisioner who lived here, named the street for his ancestral one at Ipswich; Argilla Road from the Latin for clay. The house is said to contain an early room (kitchen) older than any in the Benjamin Abbot house, dating from 1671. There is the huge central chimney of First Period architecture, this one built on a large rock of hand made brick chimney; 5 fireplaces; wainscotting throught the house and H&L hinges. Some of the walls are insulated with birch bark and one room has a brick exterior wall, protection against Indian attack. The house is said to be built on two sets of sills placed on the ground; one set for floor timbers and one for wall uprights. Thomas Abbott b. May 6, 1666, son of George & Hannah (Chandler) Abbot. On May 9, 1662 Thomas purchased from Job Tyler land for 10 pounds, 10 shilling and a horse. The lot was “northwest of the highway going to Little Hope meadow, (now called Baker’s Meadow). It also included 1½ acre of privilege use of “ye common that is not yet granted.” Thomas was also required to pay the minister “6 shillings by ye years”. This began his farm on Argilla Rd. Job Tyler, whom the original Andover proprietors found occupying it had supposedly received this acreage as a land grant from King James I in 1621. Thomas Abbot II, brother of Benjamin, whose land this adjoins, acquired some of the farmland through inheritance and built here in 1697. What became of the original "Tyler House", and whether or not, Thomas built onto or out of this structure is not certain. It is assumed however, that the early kitchen, was part of Tyler's structure. Thomas Abbott married Dec. 7, 1697 to Hannah Gray b. abt. 1674, dau. of Robert & Hannah (Holt) Gray. Thomas sold his homestead and all his land to his son Thomas Jr. on Dec. 31, 1723 for 120 pounds. The farm included the Homestead and 20 acres, the “Home Meadow” lying on the Shawshin River, 2 pieces below the bridge near Benj. 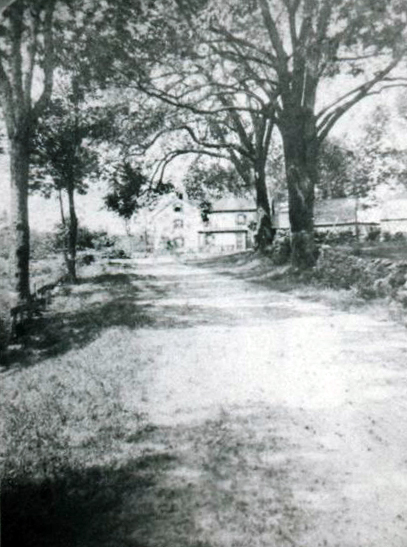 Abbott’s homestead, on the east side of the river called “Street Meadow”, a “New Lott” od 25 acres on Ballard’s Mill Pond, a parcel east of the house bought of Francis Dane, a one ace lot purchased from the Town, and right to a Common right on the Billerica line (now Tewksbury), a parcel in Merrimack Woods and another lot adjoining the homestead to “Little Hope Meadow” now known as Baker’s Meadow. Thomas reserved ½ of the homestead for himself and ¼ would be for his wife Hannah. Thomas died on Apr. 28, 1728 age 62y. 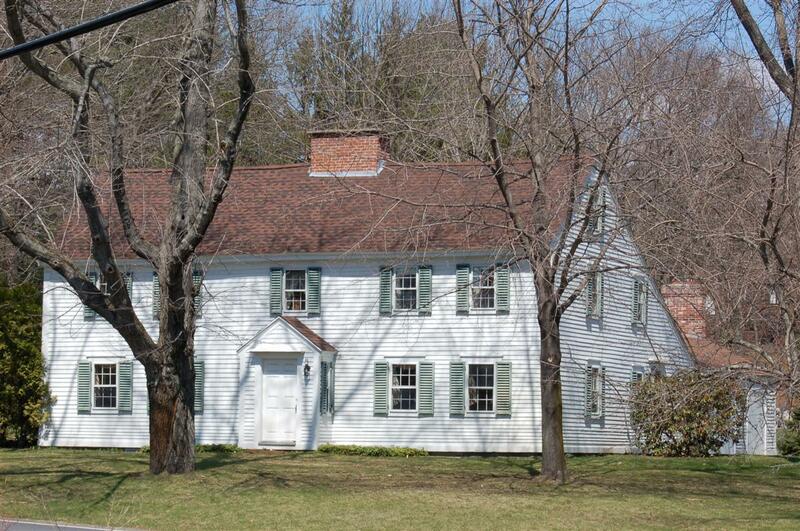 Hannah held her ¼ share of the home until her death on Jan. 25, 1763, at age 89y. Thomas Abbott b. Jan. 3, 1698-9 d. July 11, 1774, Hannah b. Sept. 10, 1700 d. July 22, 1746 at Rumford, Edward b. June 8, 1702 d. Apr. 14, 1759 Kansas, Deborah b. Dec. 1, 1704 d. Oct. 25, 1801 – Forsyth, NC, George b. Nov. 7, 1706 d. Oct. 6, 1785, Zebadiah b. Jan. 25, 1708 d. May 17, 1745, Catherine b. Mar. 31, 1710 d. Sept. 14, 1744, Benjamin III b. Mar. 31, 1711 d. Mar. 8, 1794, Aaron b. Aug. 8, 1714 d. Apr. 9, 1730 Cuanza Sul, Angola, Louisiana?, Isaac b. Feb. 13, 1715 d. Nov. 3, 1745. Samuel b. 1723 – d. Nov. 12, 1725, Samuel b. Dec. 8, 1725 – d.__, Elizabeth b. Jan. 10, 1726 d. Dec. 19, 1819, Thomas b. Mar. 19, 1728 d. May 19, 1728, #3 Thomas b. Apr. 4, 1729 d. Mar. 29, 1775, Jabez b. Apr. 18, 1731 d. Jan. 7, 1804 Concord, NH, Aaron II b. Feb. 17, 1732 d. Dec. 31, 1812 Bethel, ME, Joseph b. Dec. 29, 1734 d. June 1758 Quebec, Canada., Nathan b. Feb. 7, 1736 d. Jan 18, 1805 Concord, NH, Isaac b. May 3, 1740 d. Sept. 16, 1740, Jesse b. Aug. 4, 1741 d. May 12, 1808 and Lydia b Oct. 5, 1743 d. June 2, 1749. Children; Lydea b. Apr. 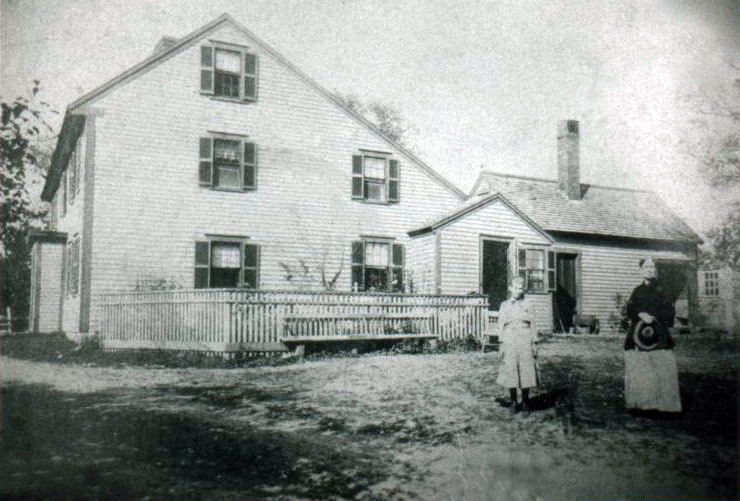 10, 1757 d. Nov. 12, 1826 Deering, NH, Hannah b. May 5, 1759 d. Nov. 14, 1789, Thomas Abbot b. May 25, 1761 d., Bette b. June 25, 1763 d. Feb 12, 1842 Maine , Joel b. Nov. 22, 1765 d. Nov. 11, 1826, Anna b. Feb. 28, 1769 d. May 31, 1847 Concord, NH, Eleanor bpt. Nov. 10, 1771 d.?, and Chloe b. Nov. 4, 1771 d. 1802 Richmond, Quebec. 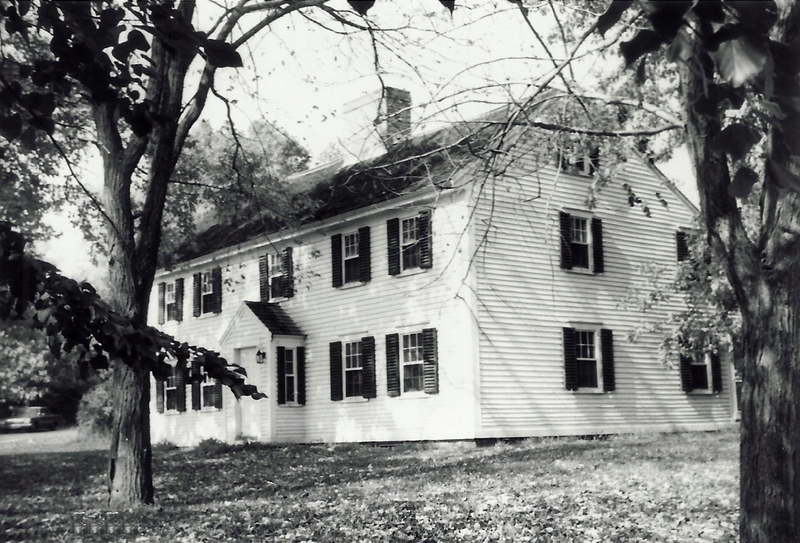 Three Thomas Abbots lived here in succession, until in 1797, the estate was purchased by Dr. Symond Baker, physician at Andover and Methuen, whose second wife was Lydia Gray of Andover. Dr. Symonds Baker b. Jan. 6, 1736, Topsfield, MA, Physician, married Oct. 9, 1759 in Methuen to Susannah Sargent b. Mar. 27, 1736, Methuen, MA - d. abt. 1765. Children: Nathaniel b. 1760 Methuen d.___, Simonds b. 1761 Methuen d.___ and Susanna b. 1763 Methuen d.___. Dr. Symonds Baker married 2nd Mar. 26, 1766 in Andover to Lydia Gray b. May 29, 1748 dau. of Henry & Alice (Peabody) Gray. 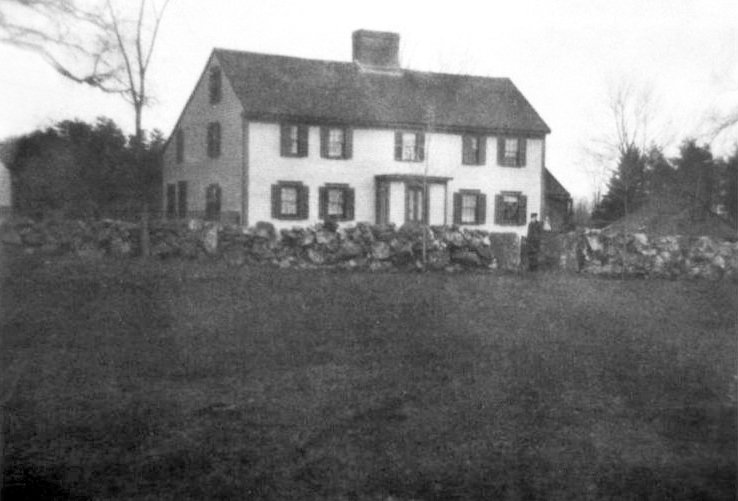 Lydia was the niece of Hannah (Gray) who married Thomas Abbott of this homestead. Dr. Symonds Baker d. July 3, 1815. Lydia d. Feb. 23, 1821. Symonds Epps Baker b. Jan. 17, 1779 in Andover, MA, son of Dr. Symonds & Lydia (Gray) Baker, married May 27, 1802 to Sarah Holt, b. Dec. 27, 1775 in Andover, dau. of David & Hannah Holt. Symonds E. d. Mar. 22, 1819 age 41 years. Sarah d. Jan. 1, 1865. David Baker b. Mar. 3, 1803 Andover, son of Symonds Epps & Lydia (Gray) Baker. Marriage intention Nov. 27, 1827 to Lucy Frost Mann b. 1804 dau. of Ebenezer & Sarah Mann. David Baker, was a founding member of the anti-slavery Free Christian Church. Lucy d. in 1880 and David d. Oct. 26, 1888. Children: George Frost - b. Oct. 10, 1830 - d. Aug. 23, 1907, Sarah Elizabeth b. Feb. 18, 1834 d.___, Lucy Caroline - bp. Mar. 22, 1840 – d.
George Frost Baker b. Oct. 10, 1830 Andover, son of David & Lucy F. (Mann) Baker, m. Charlotte Abbott Blanchard b. 1838 dau. of Joshua & Liza Jane Blanchard. George inherits the farm. George d. Aug. 23, 1907 and Charlotte A/ Dec. 18, 1936. Ina Lord b. Nov. 12, 1870 – d. Feb. 23, 1953 and Charlotte “Lottie” Evelyn b. May 1879 – d. ____. Ina Lord Baker b. Nov. 12, 1870, Andover, dau. of George F. & Charlotte A. (Blanchard) Baker married on South Church, Andover on June 10, 1896 to Herbert Lincoln White b. Oct. 1873 in Chelsea, MA son of Henry Kirk & Laura Emma (Pratt) White. Herbert was an engineer of the heating plant at Marland Mills. Ina & Herbert had five children. Ina d. Feb. 23, 1953 and Herbert d. Feb. 18, 1963. They first lived at 87 Andover St. and then Reservation Rd. Gertrude B. , b. Dec. 22, 1896 Reading, MA d. ¬___, Winthrop Kirk b. Apr. 17, 1898 d. Dec. 1979 (m. Elsie Ruth Holt). 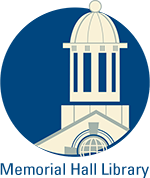 , Sidney Pratt b. May 12, 1899 d. Oct. 26, 1983, Marion Blanchard b. Oct. 5, 1901 d. 2003 (m. Alexander Harold Henderson) and Charlotte Frost b. Nov. 5, 1907 d.
Sidney Pratt White b. May 12, 1899 in Andover, son of Herbert L. & Ina L. (Baker) White. Sid went into farming and in 1920 was living with his grandmother Charlotte Baker at 5 Argilla Rd. supervising the Baker farm. He would later purchase the homestead in 1939 from his mother after she inherited in 1936. 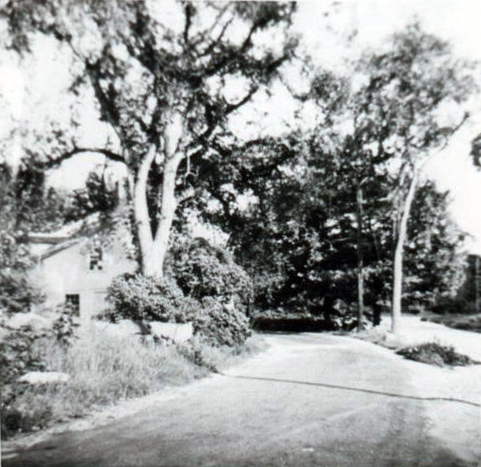 In 1930 Sid purchased the Wild Rose Farm on 274 Lowell St. from the Arden Trust of the late William M. Wood. White retained the name of the farm, stocked the herd with Holstein cows and prize bulls. White maintained the dairy business and milk delivery at that location until 1960. White then built Rose Glen Dairy Bar and a new barn for his Wild Rose Farm called the “Cow Palace” on Andover Street across from his home on Argilla Rd. The barn has been converted into professional office space and the former Dairy Bar is now the Andover Deli. White was a gentleman farmer, active in town politics, was a Selectman and member of the Board of Public Works. His passion was Arabian horses. He was a member of the Shriner's and built a stable on Argilla Rd. to house them. (now the club house of Abbot Pond Condos) Much of his property was sold off in the 1960’s for housing developments. Sid never married. The original barn on the Homestead burned down in the 1931. White began restoration of the house in 1940 removing a two story ell and returning the house to its original "saltbox" stye. After a fire in the in the house on Sept. 19, 1941, which was nearly completed, Sid completely restored the home a second time. He searched for period interior paneling and doors to match the original details lost in the fire. Sid constructed the new barn in the mid 1960s. Sidney died on Oct. 26, 1983 at age 84. He is interred in the family lot at South Parish Cemetery. Prior to his death he place an Historic Preservation restriction on the homestead and adjoining property . Roger A. Desmarais and wife Mary W. Moran purchased the property on May 5, 1992 and for the past 25 years have been excellent stewards of the homestead. They built a greenhouse off the barn, did some interior updates to the rear ell and have meticulously maintained the grounds. Andover deed, 1797, Abbot to Baker, Salem. Dorman, Moses. Map of Andover,1830. Job Tyler – 1621 land grant from King ? Thomas Abbot Jr. estate, died Mar. 31, 1775 - heir wid. Lydia B.
George F. Baker Estate, - d. Aug. 23, 1907 heir, Charlotte A.
Architect/Builder The builder's brother who lived next door was by trade and training a carpenter. Outbuildings / Secondary Structures Large barn built 1960's, after 1931 fire. Major Alterations Restored by Sidney P. White, owner 1940-41, fire gutted Sept. 19, 1941 after nearly restored. Faithfully restored again by White.